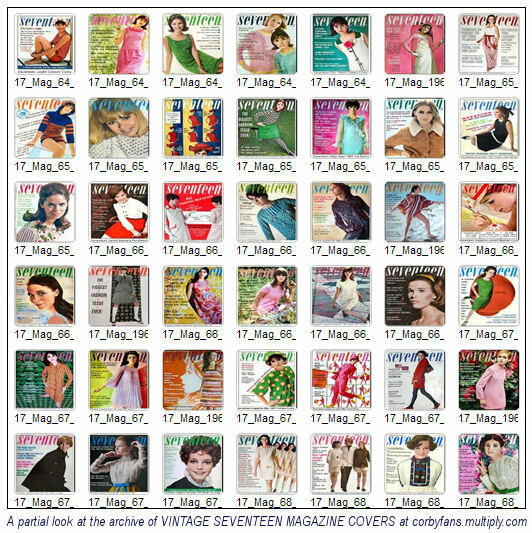 Discussion in 'Vintage Magazines' started by iluvjeisa, Jun 21, 2009. Great idea!Here's Niki Taylor's covers. the first one is from 1989,the second 1990.The third 1992,4th 1993.The fifth and 6th,1989. The 6th one was the first Seventeen i ever bought.I was so impressed that Niki was on the cover,cause she was only a couple of years older than me.It was a fabulous back to school issue. Was that cover actually a real cover with Jennie Garth ? The B&W with Niki and her sister (Kristen?) was my first Seventeen magazine. Thanks for the memory! You're welcomed I love seeing old pics that brings up a memory. I have one of the 90's SEVENTEEN! But I can't scan it because my aunt takes care of it! She doesn't want anyone touching it! I understand her! I'll try sneaking a photo! ^OMG! That's soo cute... who is she anyway!? Oooh look what I found! *ScarlettLover,please credit the flickr account those pics are from.Thanks. Sorry, it's doe-c-doe on Flickr.